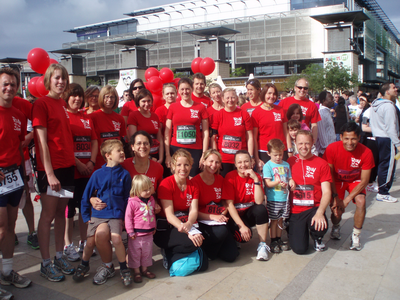 Well done to the ‘Run for the Slum’ team of runners and supporters for a great effort this morning. 28 runners successfully ran 10k, cheered on by a great back up team of parents, friends and children. Huge thanks for the sponsorship money that everyone has collected – don’t forget to tell people it is not to late to donate! We’re already planning the next run and team curry night – details to follow! Post your race times as comments if you are proud of them – we’ll post photos on the (new look, hopefully!!) website in a day or two.